Starting fresh herbs for your home and/or garden is a fantastic hobby that can enlighten any age gardener. You do not have to be a master chef to enjoy the benefits of an herb garden. A lot of herbs are not favored just because of their taste, but also for the sweet and savory aroma they produce. 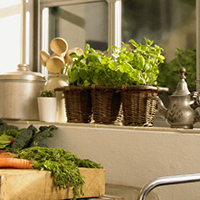 Whether you are looking for fresh herbs for your next culinary masterpiece, or just to add some variety to your garden, there are numerous reasons for starting fresh herbs. Culinary Uses: The practice of growing fresh herbs for cooking has been around for as long as mankind has known how to cook. Perhaps man first discovered this secret by accident, or maybe they had a moment of brilliance and decided to try roasting their latest game with some unusual smelling plants they found. Whatever the motivation was, it was a practice that has endured the test of time. Few cooks anywhere prepare a meal without some herb or spice to enhance the flavor, and aren’t we glad they do? There are endless recipes and uses for your favorite herbs, one need only search them out. If you would like information on the individual herbs themselves, search our site for the name of the herb. Chances are we already have a page dedicated to its many uses, or we will have one in the near future. Medicinal Uses: Once man started consuming herbs as part of his diet, it is not surprising that he might have noticed the effects eating certain plants would have had on his body and mind. Some of those effects were sure to be unpleasant as well. In time, humans learned which plants and herbs were good for them, and which ones were not so good. Starting fresh herbs for medicinal use is a practice that was widespread before the rise of modern medicines, but even today is still done around the world. Many of the medicines and drugs we take today for everyday ailments were derived originally from ingredients found naturally in the world. It is this understanding that leads some people to believe in a holistic approach to medicine, such as the Chinese. The Chinese are one such society that has spent thousands of years starting fresh herbs to solve many of the day to day ailments that any modern country faces. This form of medicine has been refined and tested and has evolved over thousands of years of clinical use. While herbal medicine is not as widespread in the United States, there are a great many people who believe herbal remedies are a gentler and efficient alternative to modern day medicines. As with anything that concerns your health, never start an herbal medicine regimen without first consulting with your doctor to be sure what is best for you. 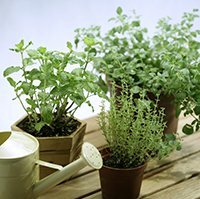 Commercial Growing: Many gardeners have figured out ways to turn their green thumbs into profitable businesses by growing fresh herbs. While there is a lot of competition in the nursery industry for annual and perennial plants, herbs tend to be a much smaller market share for grown crops because their uses are more specific. That doesn’t mean you can find a way to grow herbs for resale, it just means you have to think the process through. Because it is a niche business, it’s not always easy to find herb growers in certain areas, and not everyone wants to invest the time growing their own plants. A cook might want fresh herbs for his or her kitchen, but doesn’t want the added burden of dealing with live plants themselves. Look around online and get an idea of what companies might be in your area that are already growing herbs for resale. If you can’t find any, maybe you’re onto something! 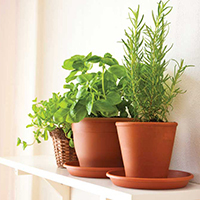 Start off small by growing fresh herbs right in your garden, such as basil, oregano, rosemary, and thyme. Contact your local municipality and see what paperwork you need to start a home based business. You could be off and running with your very own herb business before you know it! If you have small local markets in your area, don’t be afraid to approach them about marketing your products in their stores. They might not have a supplier for fresh herbs and you could form a mutually beneficial relationship. The possibilities are endless. Drying Herbs: Unless you are growing fresh herbs for fun and have no real intention of using them except on rare occasions, you are eventually going to need to dry your herbs to preserve them for future use. The easiest way to preserve fresh herbs is to simply dry them. All you need to do is expose the leaves to air that is warm and dry, and out of direct sunlight. The fastest way to dry herbs is through the use of a dehydrator, because you can more accurately control the temperature and circulation of air. Many dehydrators have specific instructions for drying herbs, check to see if yours does as well. 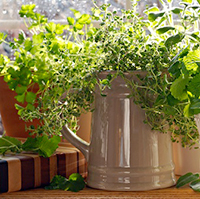 It is typically better to dry herbs indoors than out, unless you live in a very dry climate. 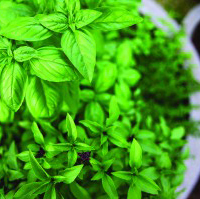 Tender herbs such as basil and oregano will start to mold quickly after harvesting, if they are not dried. You can hang these and other seed type herbs in paper bags so any loose seeds or leaves will not be lost if they fall off the stem. Be sure to poke holes in the sides of the bag however to allow proper air circulation. Microwave ovens believe it or not make short work of drying herbs in small quantities, and some have instructions right in the user manuals for this process. Whatever your motivation is for growing fresh herbs, it will almost certainly turn into a hobby that will last a lifetime!